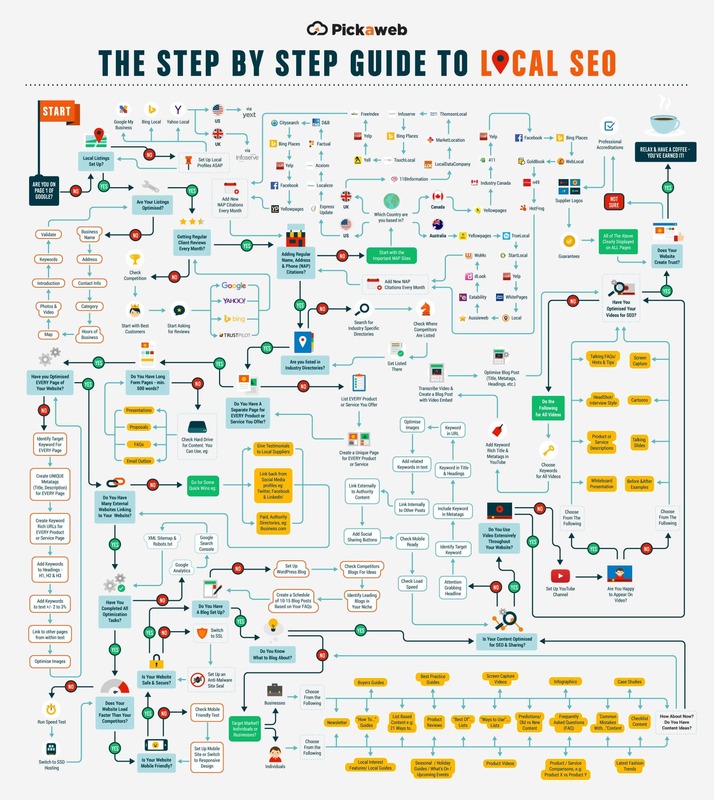 If you’ve ever worked with local businesses, then you’ll be familiar with this response. Far too many local businesses have fallen into the trap of thinking that blogging isn’t for them, it’s for well…bloggers. Unfortunately, they couldn’t be further from the truth. Today, content is so incredibly important from some perspectives: attracting new customers by converting visitors into leads, driving traffic to your website, building authority, and, yes, being found online through search engines. Look at this chart from HubSpot; they found that traffic from blogging activities actually compounds over time. But it’s not just large, web savvy businesses like Hubspot that can benefit from creating engaging content. 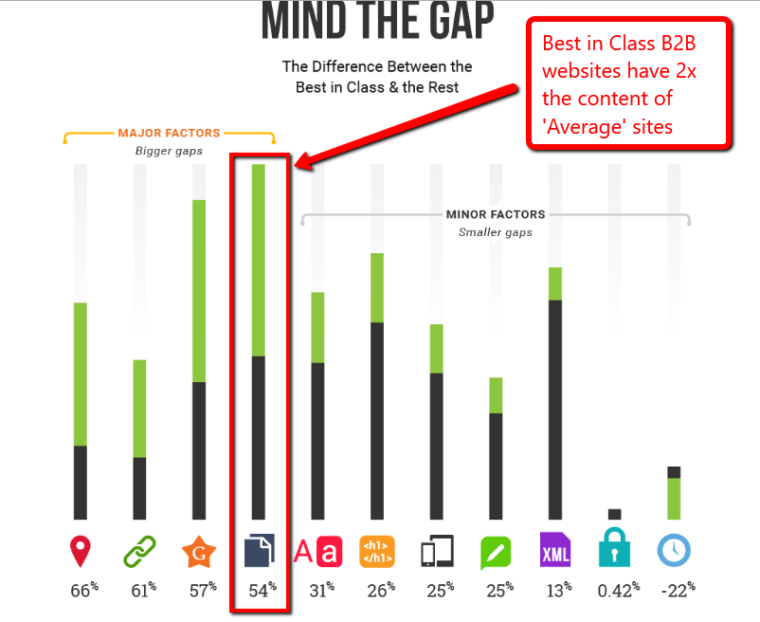 Recent research we performed on over 500 UK B2B websites showed that best in class sites have double the amount of content of lower ranking average sites. Content was clearly one of the four main factors that differentiated the best from the rest. But if you’ve ever tried to encourage a local business to create more content you’ve got your work cut out. Their usual response is that they either can’t see the point, they haven’t got the time, or they’re in a boring industry, and there’s nothing worth saying. 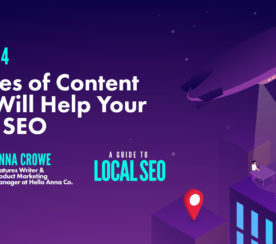 Let’s face it, creating high-quality content takes time and energy, but at the end of the day, businesses are far better off with a local content creation plan and framework than without. 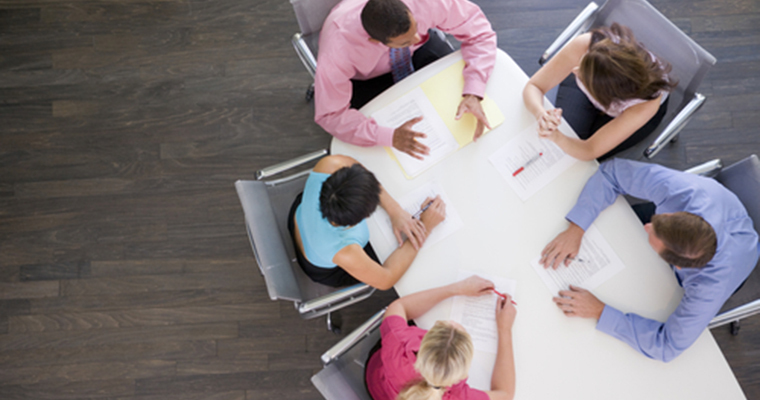 So, how do you convince your clients to create more content? If the idea of blogging is too much to jump into straight away, then consider pushing your clients to expand out their services page. This is something I always find myself saying to our clients. Often what they will do is set up a generic ‘Services’ page that just lists everything they do. I suspect that often this is because they’ve had to pay a web designer by the page and they are reluctant to pay the extra cost of extra pages. But this is a false economy, because now they’re just spreading themselves too thin. Let’s take a typical local supplier like a plumber. They probably offer at least a dozen specific services that merit their own page (emergency call out, drain cleaning, leak repairs, radiator installation, central heating installation, central heating maintenance, kitchen plumbing installation, etc..). You’ve immediately got some great, relevant content that spreads the keyword net much wider. Each page is an opportunity to rank for that specific keyword rather than it getting lost in the generic ‘Services’ page. So a good starting point for reluctant clients is to encourage them to develop services pages for each of the main keyword services that they provide to their own customers. I bet if you sat down with your client for a coffee and started talking to them about their business you’d be there for hours (and several coffees). Imagine how long it would take them to tell you what services they offer, how they deliver their services, what are the little hints and tips that people need to be aware of, what you need to avoid when purchasing their service, etc..
There’d be an absolute ton of stuff they could use for keyword rich content. You just need to get them to commit to moving it from ‘up there’ to ‘out there’ and FAQs are a great way to achieve this. You don’t necessarily need to think of a classic FAQ page either although there are ways to create more impactful FAQ pages. But let’s face it, the trouble with traditional FAQ pages is that they are a bit, well, boring. Another option is to take your FAQs and look for the long tail options and create blog content around them. Sure, a pool maintenance company could have a FAQ on “What’s the advantage of salt water pools over chlorine pools?” but without too much effort they could also create an engaging piece of content for their blog entitled “5 Important health reasons for choosing saltwater pools over chlorine pools”. This type of content can have a positive effect on some levels. First, of course, is the value this type of content can provide to readers and potential clients. Highlighting frequent questions about a product or service, and addressing concerns right from the start can go a long way in establishing basic trust, something that’s key for consumers today. Studies have shown that one of the biggest determinants of whether a consumer will buy is “decision simplicity”, that is, how easy it is for the consumer to gather information that is trustworthy and can help them make the right choice. Also, FAQ pages and posts are excellent ways to highlight long tail keywords that speak directly to what their customers are looking for online. Brands need to pay attention to speaking with their customers and create FAQ pages that are optimized for those long tail keywords. Small businesses are a vital part of their local community. One way your clients’ brands can improve their standing within it and connect with local influencers is to host or promote local events. Now, this doesn’t have to just be events or happenings. Why not use the blog to highlight the story for the brand, why this city or town, what makes this place special? 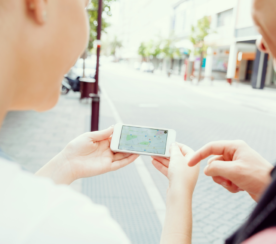 Doing this can be an impactful way for the brand to appear more “human” and forge a connection with local customers. 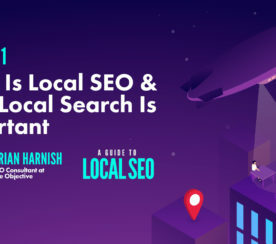 Another way for local brands to use local events to increase search engine visibility (not to mention highlighting good deeds) is to blog about any specific charities, local meetup or event sponsorships, and even neighborhood guides. 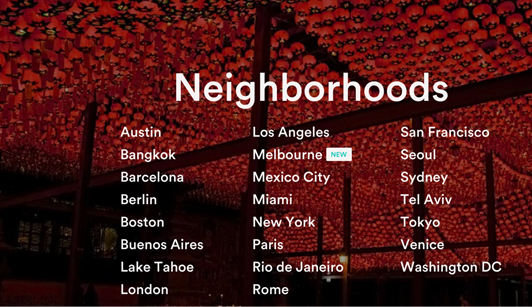 AirBnB has embraced this “Neighborhoods” feature as one of the key components of their overall content marketing strategy, to great results. OK, sure AirBnB isn’t exactly a good example of a local business, but what about a taxi firm? I bet if you encouraged a taxi firm to start blogging the chances are they’d be stumped for ideas. But they could easily create a what’s on guide for local events which means they’d have a never ending stream of locally themed ideas. Using this approach makes it much easier to reach out to members of the local business community whether on a personal level or via social media. There are few better ways to sell your brand than to highlight your already happy customers. In fact, for most consumers, reviews are the first thing they look for before making any buying purchases. Data from eConsultancy showed that “61% of customers read online reviews before making a purchase decision, and they are now essential for e-commerce sites.” And the same article highlighted how reviews, on average, produce an 18% uplift in sales. That can be a huge amount for a small local brand. Blog content that focuses on reviews can also be converted into some other formats for promotion. Think case studies, video reviews, podcast chats, and even quote images for social media sharing. The simple fact is that most local businesses have got loads of happy customers who would be more than happy to provide some feedback if asked. And that’s the key point—often they just aren’t asked. You just need to encourage them to make it as easy as possible for their customers to leave reviews or provide testimonials. So try to encourage your clients to approach their best customers for reviews and testimonials or to act as case studies. Most local business owners will usually know the names of their best customers and often they’ll find that they’re pushing at an open door. Many small and local business brands offer products or services that change depending on the time of year. Use these differences as a perfect way to ease into creating seasonal blog content to educate and inform customers. First, think about the “main” events that come around every year, things like Mother’s Day, Father’s Day, Christmas, Black Friday, Cyber Monday, 4th of July, and Memorial Day, just to highlight a few examples. Also, consider other special events, maybe an “anniversary” of the business, for instance. Now, every brand won’t always have something that fits in with each of these dates, but chances are, there will be a handful that will provide the perfect fodder for holiday blog content on a consistent basis. People love lists; we’re just wired for them. So, it makes sense that taking a list based content approach to blogging is one of the easiest ways to get started in blogging. List posts are pretty easy to pull together and typically attract more readers. It’s been shown by research, like in this case from Buffer, that readers prefer headlines that have numbers in them. It took the same post and simply changed the headline to see what readers clicked on the most. The results are pretty clear, right? One brand that has had massive success by going all in on list based content is Movoto. They’ve been able to get quite a bit of traction, and some of it viral, because they’ve been able to have fun and think out of the box when it comes to creating list content. We live in a visual era, and video has become a huge tool for marketers and brands that are looking to improve their blogs, authority, search engine results, and social media impact. Video is here to stay, and by the looks of the available data out there, it’s only going to rise in the future. So, it makes sense to capture video as an additional source of content for a blog. Of course, one thing that will often hold small business owners back is fear of making their own videos. If you’re determined to make slick videos then with a small investment and bit of testing you can master techniques like 3 point lighting, but for most small businesses you can just start with your iPhone. The point is that you just need to get stuck in – over time you’ll improve your style. If you’re a local jeweler, for example, you could easily create a set of short informative videos explaining the different types of gems, how to choose them, the types of settings, how to remodel older jewelry, and so forth. These videos don’t have to be expensive or require significant editing, but they will draw in new visitors and reassure potential customers that you are a safe pair of hands. Blogging should form part of a long-term strategy for any local business. If you find that your local clients push back, then there are several ways you can guide them towards committing the time and effort required. Increasing service pages, adding more FAQ based content, getting involved in local events, getting more user-generated content, creating seasonal guides, list-based content, and video are all ways to help your clients commit to content. Although some clients may be resistant to blogging initially, you can help them by highlighting an approach that is simple and still gets results. Screenshot by Tony Messer. Taken August 2016.